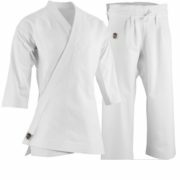 Ed Parker Stonewashed Heavy Weight Uniform - Academy Of Karate - Martial Arts Supply Inc. 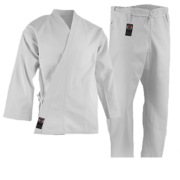 The Stone Washed Hayashi Uniform blends form & function into a high performance uniform that you’ll be proud to wear. 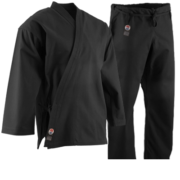 Constructed out of 100% brushed cotton 14 oz heavyweight fabric for durability and comfort, this uniform can meet the needs of any martial arts style. 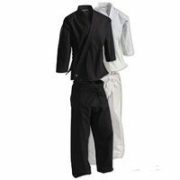 Stone washing “breaks in” the material for maximal comfort as soon as you put one on. Stone Washed Hayashi Uniforms are available in a weathered charcoal color. Top and bottom. Pants have elastic waist with a drawstring. Comes with special nylon carrying case. 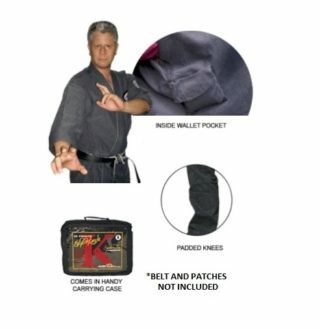 Belt and patches not included.